Manchester is having a moment. 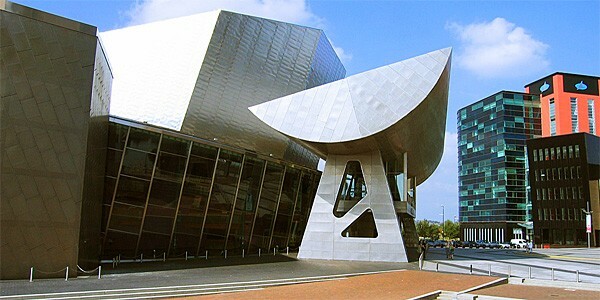 Considered by many movers and shakers to be one of the coolest cities in the UK, this north-west powerhouse boasts a profusion of galleries, art centres and festivals, and of course an excellent music scene. 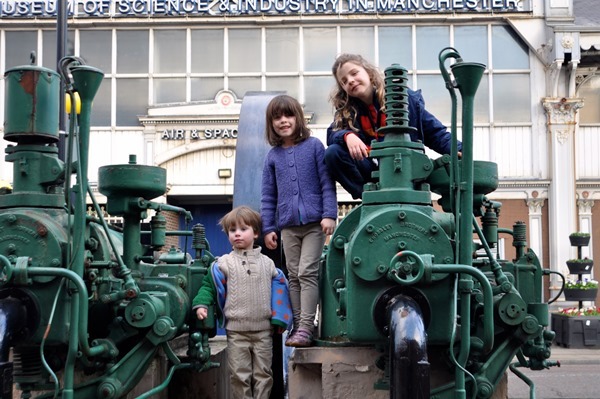 Manchester has been awarded European City of Science for 2016, and the downtown MOSI is a great introduction to its industrial past and high-tech present. We found fascinating galleries, including one about the textile mills (“Very noisy machines,” said my youngest), as well as some gratifyingly climb-friendly engines. And we had fun in the interactive space, where the kids got stuck into the laws of physics through displays of light, colour refraction, motion and energy. There’s also a separate Air and Space Gallery across the road, where flying machines from the positively ancient (circa 1910) to the present day are housed. The children had enormous fun imagining themselves as fighter pilots in the war. The greater metropolitan area is positively bursting with sporting action (Manchester is hosting 8 matches for the Rugby World Cup). We went to see an amateur rugby match, and my daughter had some tennis coaching for the first time. 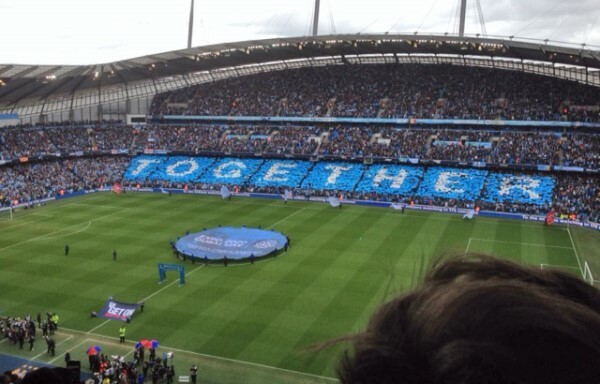 We could have visited Old Trafford or the Etihad Stadium, both of which have kid-friendly tours. Other options include the National Cycling Centre, BMX tracks, the National Basketball Centre, and the Olympic-sized swimming pools built for the 2001 Commonwealth Games. There are also cycling trails galore, plus a real-snow ski slope with a huge indoor play area (Play Factore) below it. This is the industrial heart of the city and, we discovered, the site of the original Roman settlement in AD79. It’s now a conservation area and an Urban Heritage Park, and it’s full of old red-brick mills, railway viaducts and canals, plus regenerated warehouses which host bars, restaurants and hotels. The kids played at being Roman soldiers, which seemed to involve lots of rolling around the reconstructed ruins and balancing on the truncated walls. 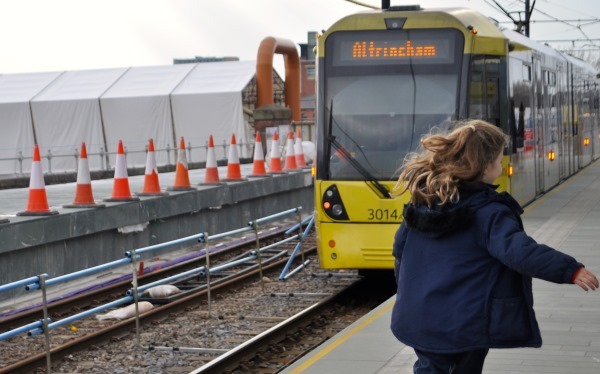 The Metrolink network first opened in 1992 and now comprises 7 lines which stretch from the airport to Bury, Rochdale to Didsbury. It makes getting about the city a doddle, and it’s exciting for the kids. Ours really enjoyed the novelty of riding the tram, and we didn’t need to bother with a car. 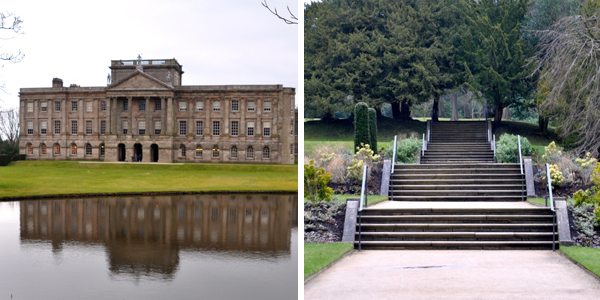 We also enjoyed an outing to the National Trust-owned Lyme Park estate, which is easily reached by public transport. 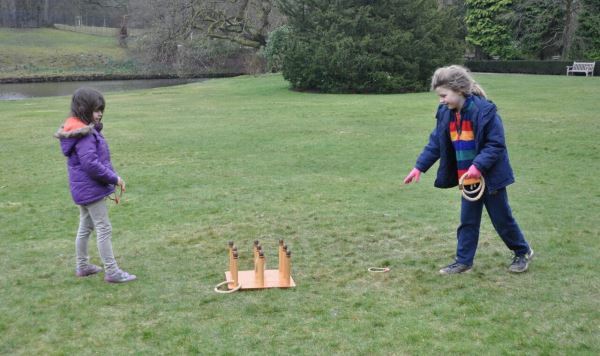 Famed for acting as Pemberley in the TV adaptation of Pride and Prejudice, this stately home has extensive grounds which the kids absolutely loved tearing about. We didn’t bother with the exalted interiors, preferring the ravine garden (whose ancient trees made excellent woodland dens), playing quoits on the lawn and admiring the reflecting lake. 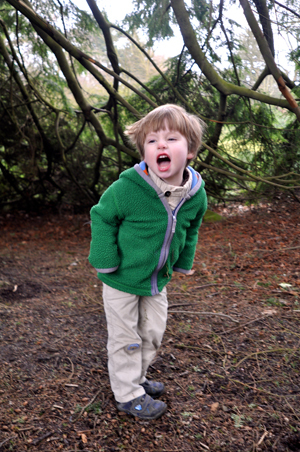 Lyme Park also has an excellent sensory woodland area where children can get in touch with nature. Bird boxes have been filled with different textures such as pine cones, raw wool and bark, and my daughter loved the obstacle course of stumps and pebble pits. Best of all is the Crow Wood playscape, which encourages playtime without supervision – all structures are made of wood and test the mettle of each child. We finished with lunch in the café in the stables. 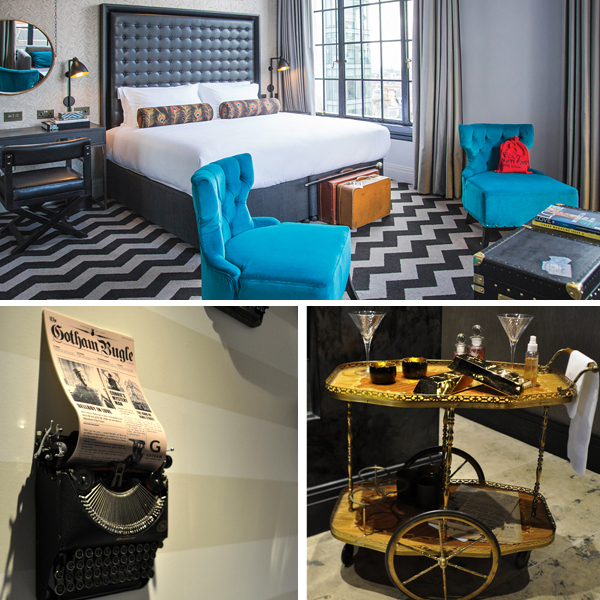 We stayed at the brand-new and very theatrical Hotel Gotham, which occupies an unrivalled central location yet remains quiet. 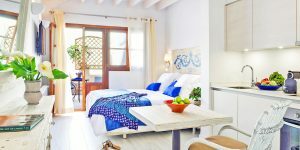 It has interconnecting rooms (with extremely comfy beds), plus a great breakfast buffet to suit even the fussiest of eaters. Our visit to Manchester barely touched the surface of all the city offers. Next time we’ll ride the steam railway from Bury to Ramsbottom, and follow the red walking-tour plaques through the city centre. And we’ll squeeze in a visit to the world-famous Jodrell Bank, which has a giant telescope and three pavilions (Space, Star and Planet), plus gardens to explore.